Amora Coffee is offering the first bag of coffee for FREE. Just pay $1.00 for packing & priority mail shipping! You can choose from 4 blends, ranging from light to dark. Plus, you can also get an additional bag of coffee for just $8.95 with no additional shipping charges! Also, receive a FREE stainless steel canister and FREE silver-plated scoop in your second shipment. That’s valued at $28! Just fill out this short form here to get your first bag free! Amora coffee is the ultra-premium coffee that is roasted in small batches in the USA. It is hand packed in foil-lined bags, while it is still warm, to protect the flavor and aroma. It is delivered fresh to your home by 2-day Priority Mail! This entry was posted in Uncategorized on May 31, 2015 by Crodeal. 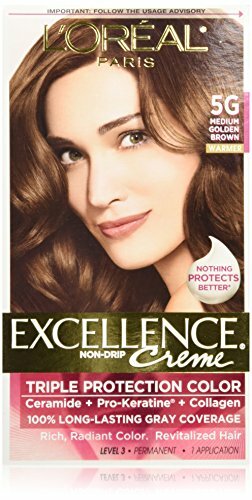 Amazon has Excellence Natural Black for $1.65. This is 82% off from the regular price of $8.99. Free shipping with a $35 order or free 2-day shipping with Amazon Prime. This entry was posted in Sale on May 31, 2015 by Crodeal. Groupon has this 4 pack of Enviroflow Pollen and Dust Control Air Filters for $16.99. That’s only $4.25 for a pack! Each filter lasts about 90 days and traps dust and allergens such as pollen, mold, pet dander, and dust mites.